MUMBAI: Bollywood’s veteran actress Sridevi has shocked her fans with her untimely demise leaving her family devastated and the nation mourning the loss of an icon. According to Pinkvilla, the veteran suffered a cardiac arrest and was rushed to the hospital. However, a gulf-based newspaper contradicted the report that she was with Boney Kapoor in her hotel room. The newspaper suggests that it was a hotel staffer, not Boney Kapoor, who raised alarm after she failed to open the door after multiple doorbells. “At around 10.30 pm, she called the room service to request for water. When the server reached her room within 15 minutes, the actor did not attend to multiple doorbells. After a few minutes, fearing something was amiss, the staffer raised an alarm. When we broke into the room, we found her on the bathroom floor. This was around 11 PM. She had a pulse when we found her,” a source from the hotel said. 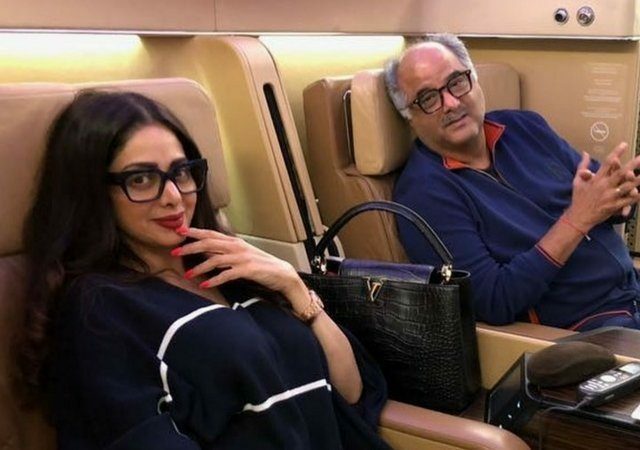 Sridevi was staying back in Dubai to attend an auction of her paintings after husband and daughter Khushi Kapoor flew back to India from Dubai. Indian tycoon Anil Ambani sent his private chopper to bring in Sridevi’s body back to the country. An earlier report published in a gulf-based tabloid claimed that it was husband Boney Kapoor who found her in a bathtub. Her husband who had already flown to India, came back at the Jumeirah Emirates Towers Hotel around 5:30pm to surprise her after attending Manmohan Shetty’s birthday dinner in Mumbai. According to Khaleej Times, he woke her up and chatted for about 15 minutes. To get ready to go to dinner with her husband, the Chandni of Bollywood went to the washroom. However, she did not return despite the lapse of 15 minutes. On this, baffled Kapoor knocked on the door to check on her. The daily said he forced into washroom to find her lying motionless in the bathtub full of water. “He tried to revive her and when he could not, he called a friend of his. After that, he informed the police at 9pm,” said the source.